We recently asked our Gameplay Programmer, Drew Clowery how he got into the business of making video games and what keeps him motivated in this incredibly competitive field. What attracted you to the game development industry? I love games. I’ve always loved games, and honestly I can’t imagine doing anything else with my life. What are some previous game titles or studio names you’ve worked with? Huzzah! It’s here! After months of planning and hard work, we’ve finished this piece of Banner Saga 3 DLC content just in time for the holidays! We couldn’t be more excited to share Eternal Arena with you all. 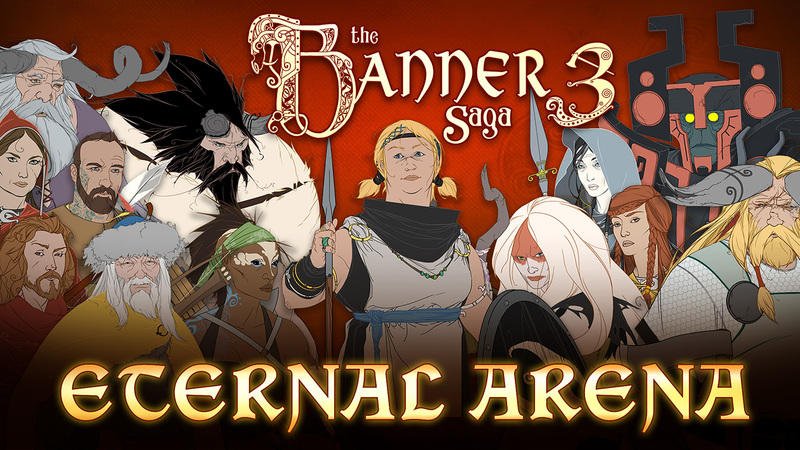 If you are a Banner Saga 3 Kickstarter backer, you should now have Eternal Arena automatically added to your game on Steam or GoG.com. Find it in your DLC list or look in-game for the purple Eternal Arena banner (above Survival Mode).